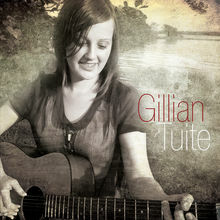 Gillian Tuite is an emerging Irish artist whose fingerstyle guitar playing, strong vocal melodies and heartfelt lyrics have already earned her a reputation for captivating a live audience. Having started to play music from a young age, Gillian attended the Ballyfermot Rock School where she discovered her love of songwriting. Her influences include Paul Simon, James Taylor, Buddy Mondlock, Alison Krauss and Shawn Colvin. Gillian is currently promoting her self-titled debut EP. Recorded with a number of established Irish musicians, it showcases four of her beautifully crafted songs.